Sometimes all it needs is a drop of colour to breathe new life into a design icon. 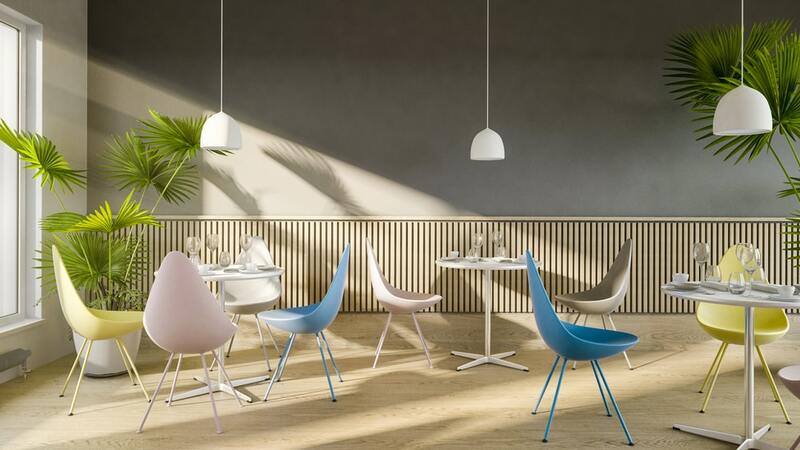 This year Fritz Hansen’s ever-popular Drop™ chair gets a make-over with the addition of four new fresh colours that appeal to the next generation of urban customers. 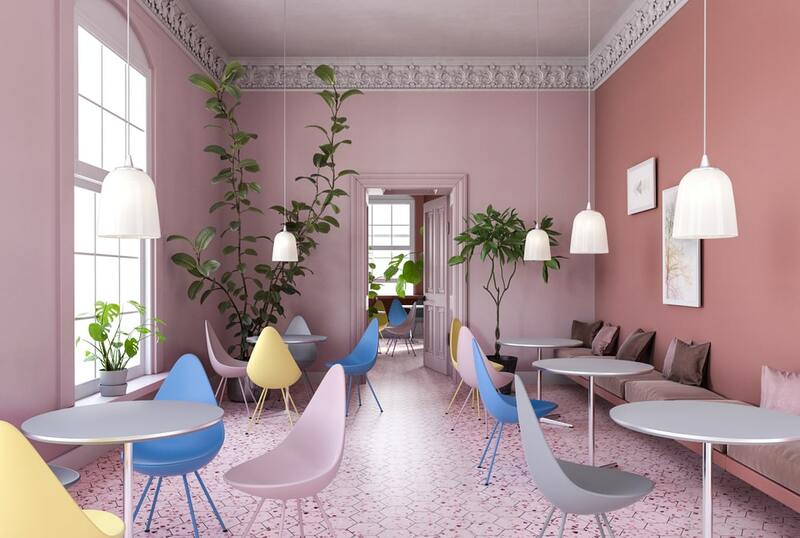 Alongside the existing classic black and white, the chair now comes in a chic grey and also three playful shades of pink, yellow and blue. 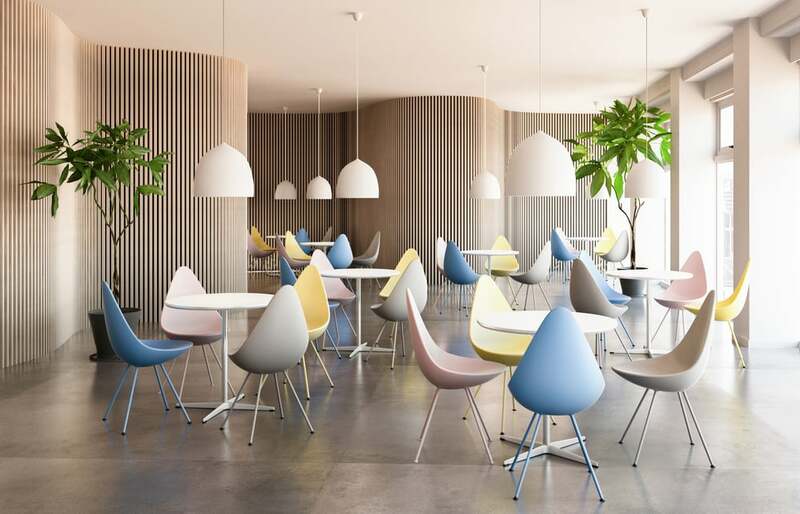 The expanded colour selection now allows multiple interior design options: from the use of bold colour mixes around a dining table or in a restaurant to simple graphic colour blocking or a stand-alone colour splash in a hallway or home office. Contemporary in appearance and fresh in attitude, the new Drop will undoubtedly become an intrinsic part of metropolitan living and working. 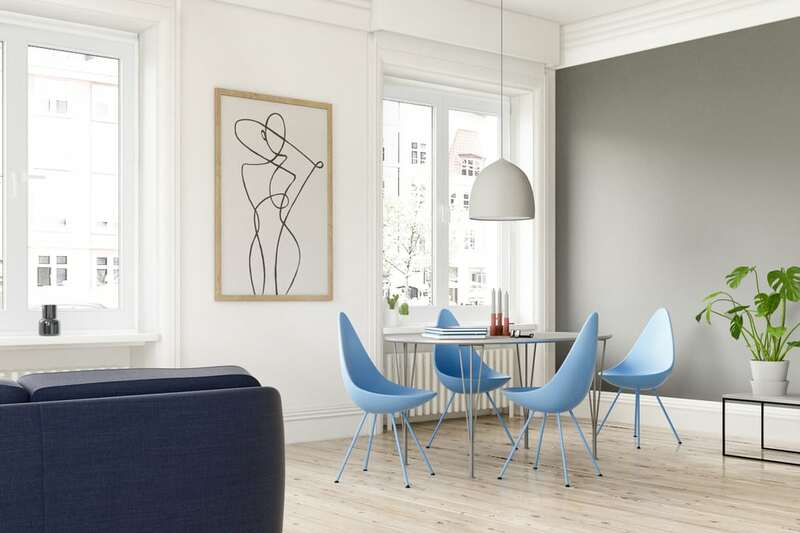 The Drop™ was originally designed by Arne Jacobsen in 1958 for the legendary SAS Royal Hotel in Copenhagen. Reputedly his personal favourite piece, the tapering shape of the chair’s back was inspired by his desire to highlight his wife’s beautiful shoulders as she sat at her dressing table. 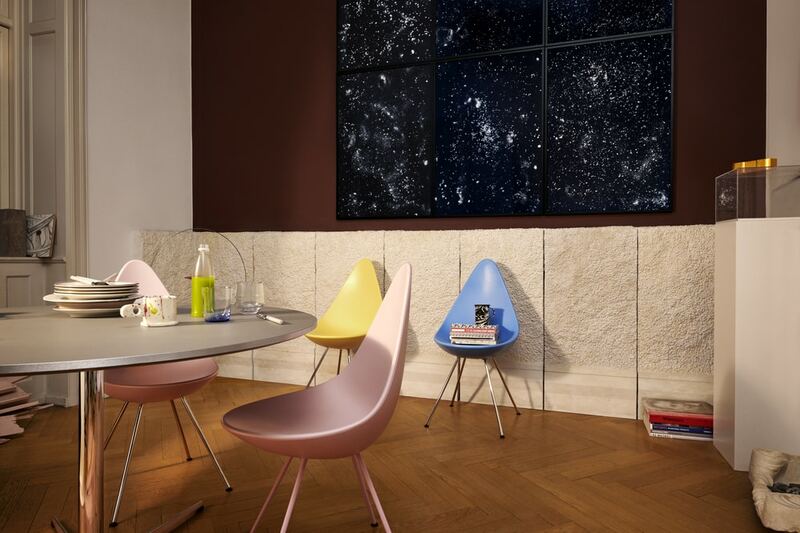 Relaunched in 2014, the chair became a huge hit, especially as the simple, uncontrived shape works so well in small urban apartments and studios and appears uncluttered in a bar or restaurant setting. At the same time as the launch of the new colours, a re-designed cushion is introduced. Now moulded to completely fill the seat and available in two shades of grey, it offers greater comfort whilst maintaining the original design aesthetic.